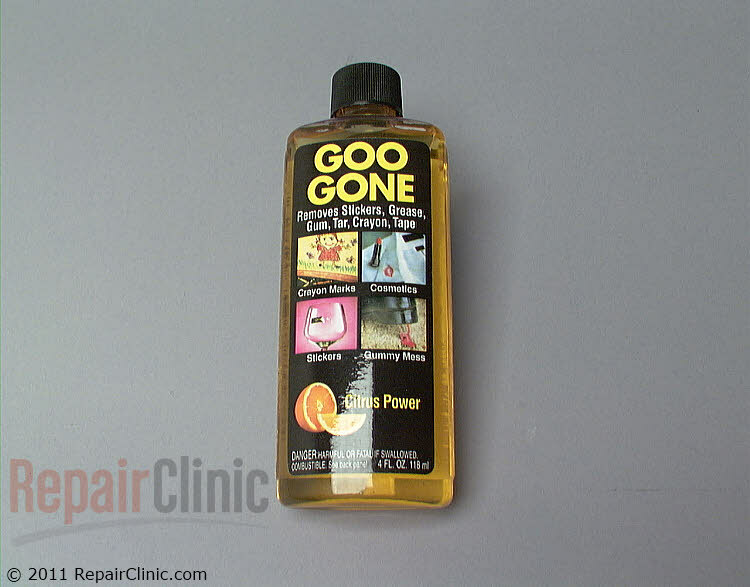 Goo Gone, 4oz. Removes grease, gum, stickers, tape, crayons and many other types of adhesive. Citrus power. Can also be used on laundry stains.